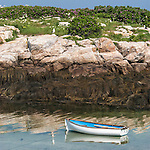 Nautical and boating scenes characterize this gallery of mine. I come from Nova Scotian and Maine lineage, so seaside communities are in my blood. My love of SCUBA diving takes me out on the water frequently.